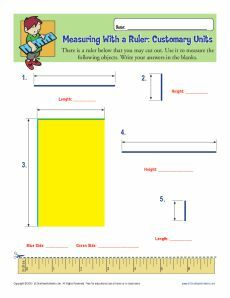 Your student will be "hands on" in this customary unit ruler worksheet. Simply cut out the ruler, and he can measure the different lines. It's a great way to work on Common Core Standards for 2nd grade Measurement and Data. You may also use it for other students as needed.